Paintball Guns will be firing a minimum of 250,000 rounds as teams from Washington, Oregon, Idaho, Montana and California will be battling it out for West Coast Paintball Series points. The tournament, hosted by Red Dot Paintball will be well attended and players from all over the Northwest will be arriving in town Friday March 16, 2012. 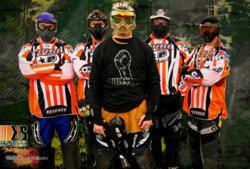 Local Paintball Team "Punishment" from the Tri-Cities will be competing in the WCPS tournament on March 17, 2012. This is the second time the WCPS has chose Red Dot Paintball to host the tournament. The field has attracted more than 25 teams bringing an average of 5 players per team and additional spectators to the Tri-Cities. The tournament is good for the economy with most of the players choosing to lodge in local hotels, shop, eat and tour the Tri-Cities. Red Dot Paintball has also arranged for professional player Thomas "the Troll" Taylor of Team XSV to put on a professional clinic on Sunday March 18, 2012. 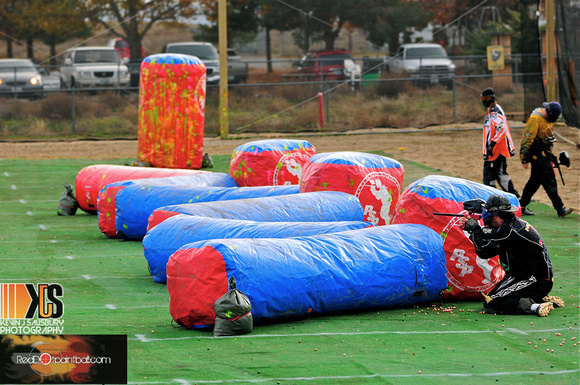 After the tournament is finished, the pro clinic is designed to support tournament style paintball players looking to improve at their sport. Red Dot Paintball is also entering a new league for tournament players hosting a 6 team 12 week schedule this year. The new league is independent and not associated with the WCPS. The local teams have an opportunity to compete locally and win nationally in this exciting new National Paintball League (NPL) format. Red Dot Paintball invites and encourages everyone to come out to the field to cheer on and watch these teams battle this Saturday. The WCPS tournament play starts at 9:00 AM and the extreme sport is sure to entertain. With free admission, one can't go wrong. Rockin' River will be on site at noon and free paintball is also offered during the day. This is your opportunity to try paintball and not only watch the sport, but actually participate for free. Players will be showing off their paintball guns skill. The political correct term for paintball guns is paintball markers. Paintball guns are not guns or firearms at all. They are simply markers. They mark people and identify them as being hit. The average speed is 280 feet per second and does not put them in the class of air rifles or firearms. 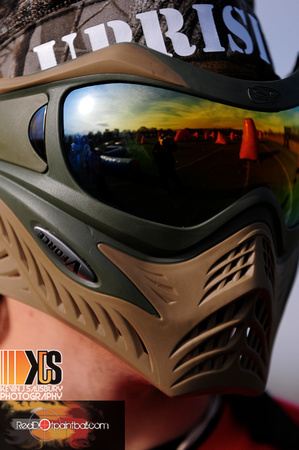 They are simply a sporting goods piece of equpment necessary to play the game of paintball. Everyone involved at the tournament and Red Dot Paintball is excited to have fan participation as the Tri-Cities is becoming introduced to the sport of paintball.